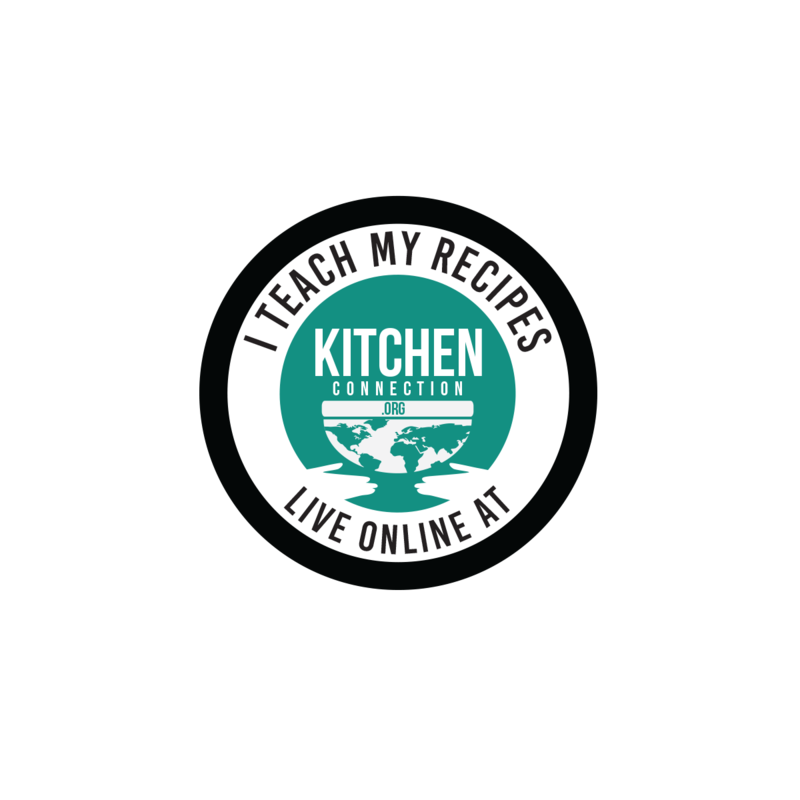 Check out my Paneer Makhani Recipe here. 1. Peel the skins of the onions and chop them into small pieces. 2. Wash and cut the tomatoes into small cubes. 3. Remove the skin of the ginger and cut it into small pieces. 4. Remove the skin of the garlic and chop them into small pieces. 1. Heat 1 tbsp of ghee, add chopped onion and sauté till they become translucent. 2. 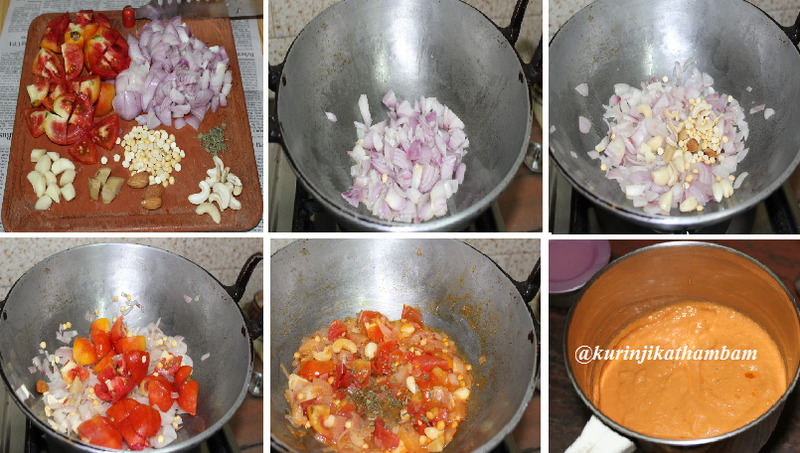 Then add chopped ginger, chopped garlic, roasted gram, badam and cashew nuts. Fry them well for 2 mins. 3. Now add the chopped tomatoes and fry till it becomes mushy. Add ¼ cup of water and cook till the water absorbs completely. Switch off the stove and add the kasoori methi. 4. Allow it to cool down completely and grind it into a fine paste using little water. 5. Heat 1 tbsp of oil in a pan, add panner cubes and fry till they turn into light brown color. 6. Take them out from the oil and put them in the warm water. This step is used to avoid the paneer becoming hard after frying. 7. In the same pan (after frying all the paneer cubes) add butter, add the cumin seeds and wait for splutter. 8. Then add the finely chopped onion. Sauté till they become translucent. Now add the ground paste, red chilli powder and salt. Cook till the gravy become thick. 9. Now add the sugar and milk. Cook for few mins. 10. Then add the fried paneer cubes and ¼ tsp of kasoori methi. 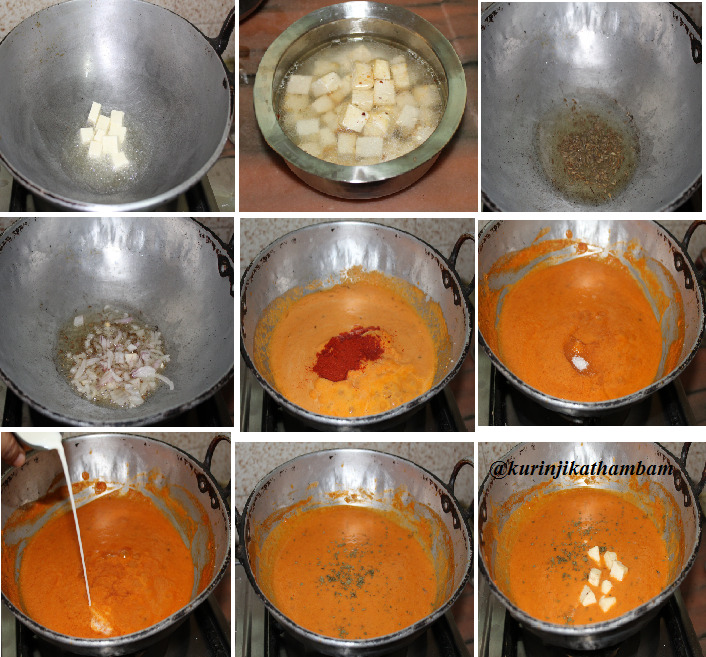 Mix them well and cook for 2 mins. Then switch off the flame. 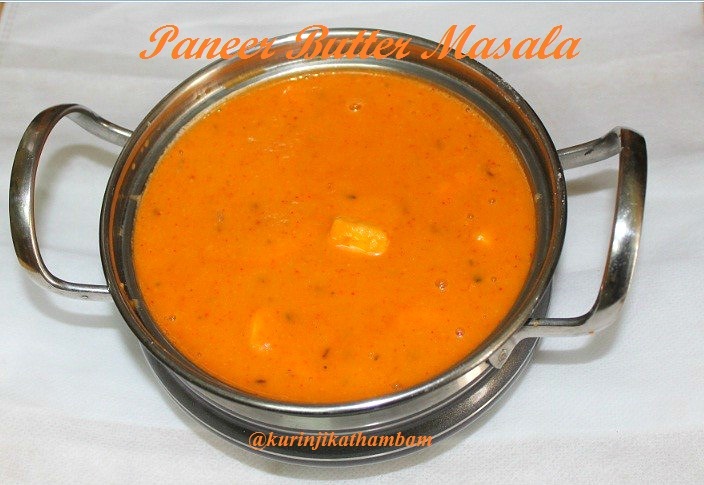 Colorful and tasty paneer butter masala is ready. 1. Use panner as it isinstead of fry. 2. Use ginger garlic paste instead of adding ginger and garlic.